Feel free to contact Rev. Erica Cooper with any questions about our Lenten Faith Ed classes. Feel free to contact Rev. Erica Cooper with any questions about our bible studies.. 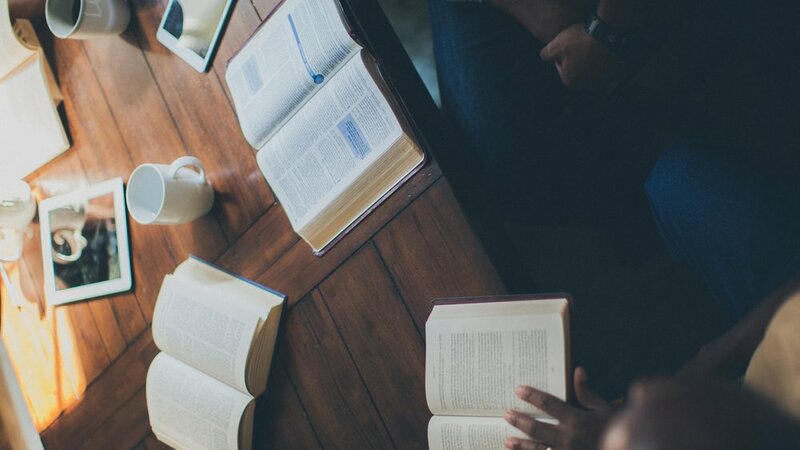 The Small Groups Ministry at Plymouth offers members a more intimate way to explore special interests while strengthening connections and supporting each other's journey of faith. Experience a "church within the church" by becoming a part of a small group. Group meetings enable members to deepen relationships and grow faith in a close-knit setting. This group meets weekly to discuss topics related to the Bible and living a life of faith. All women of the Plymouth community are invited to join. Lent will be spent with Conversation - The Sacred Art: Practicing Presence in an Age of Distraction (The Art of Spiritual Living), by Diane M. Millis PhD. Bloom Again meets at Plymouth on a regular basis. Get involved and join in the fun!